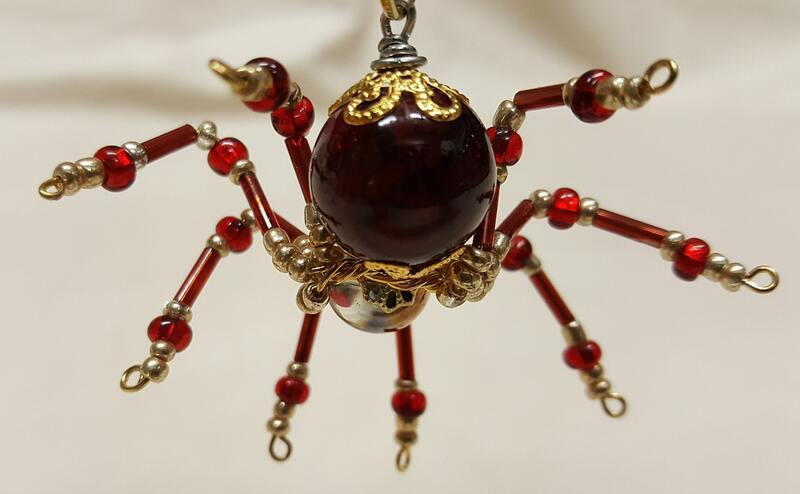 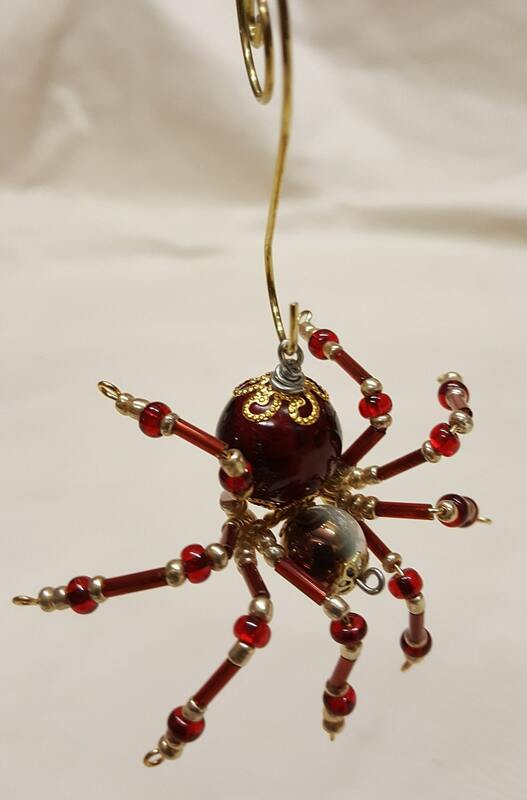 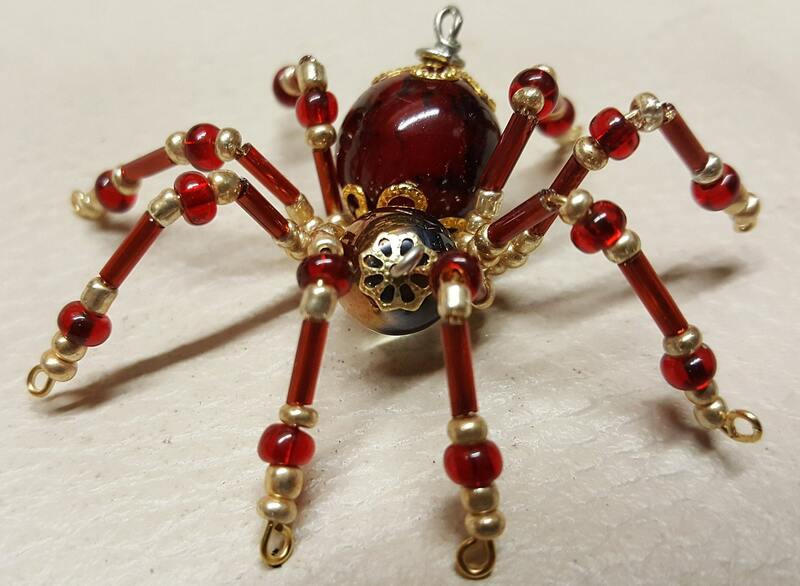 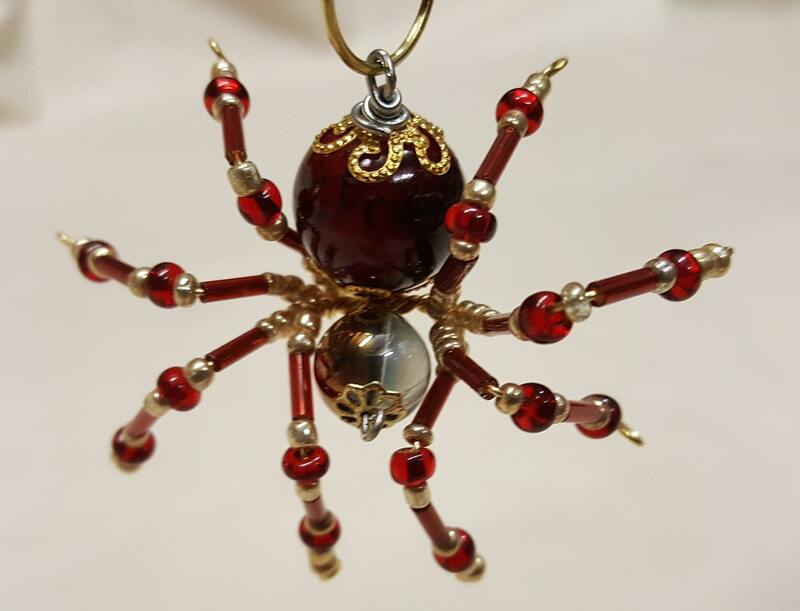 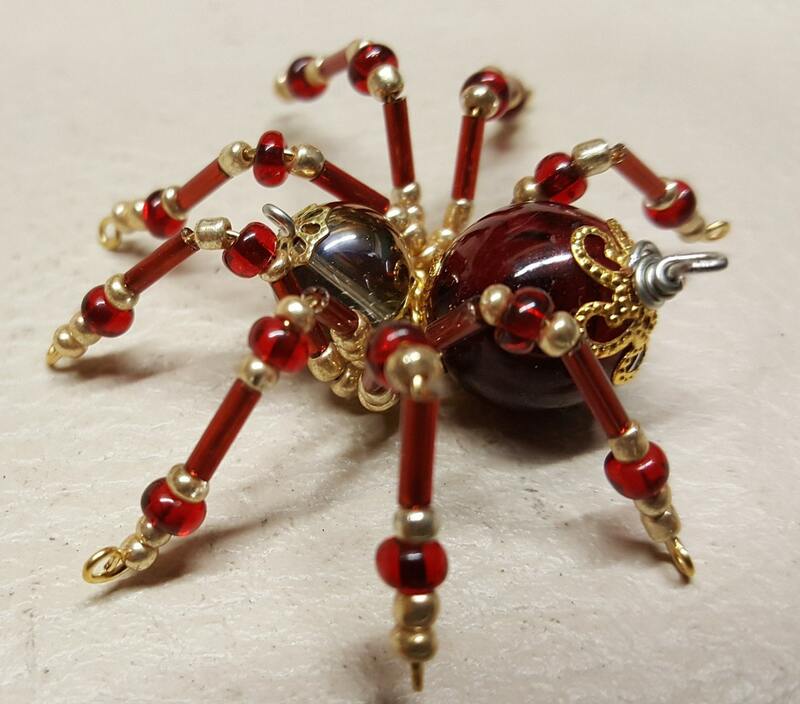 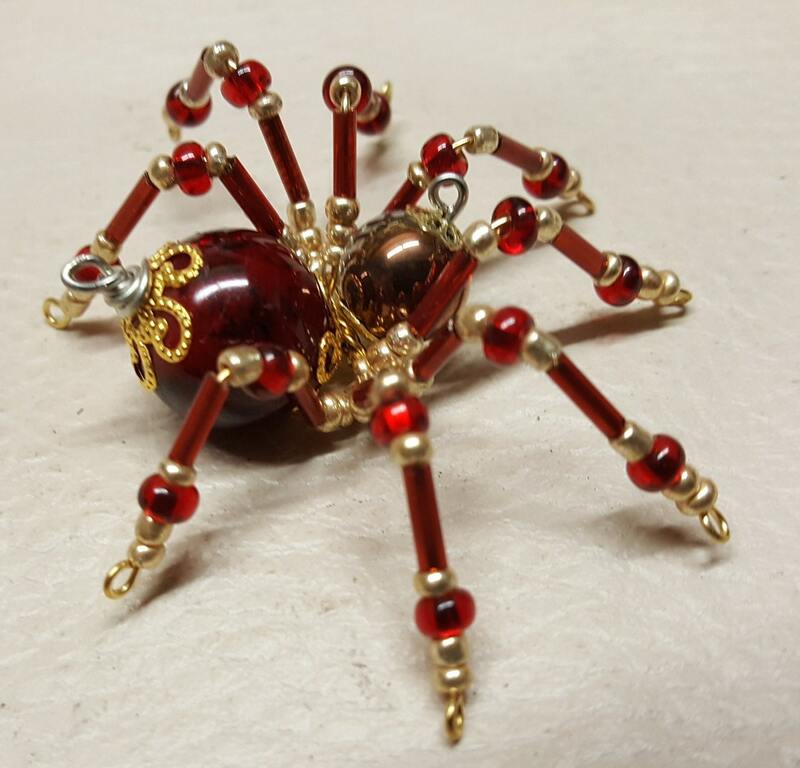 This is a handmade beaded crystalline spider. 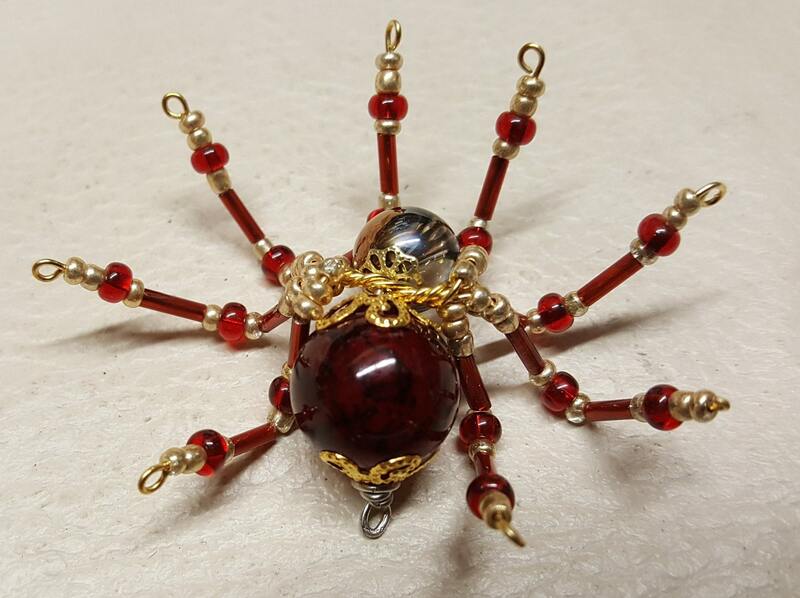 The abdominal area is made from a red plastic bead and the head from a smaller gold tinted clear bead. 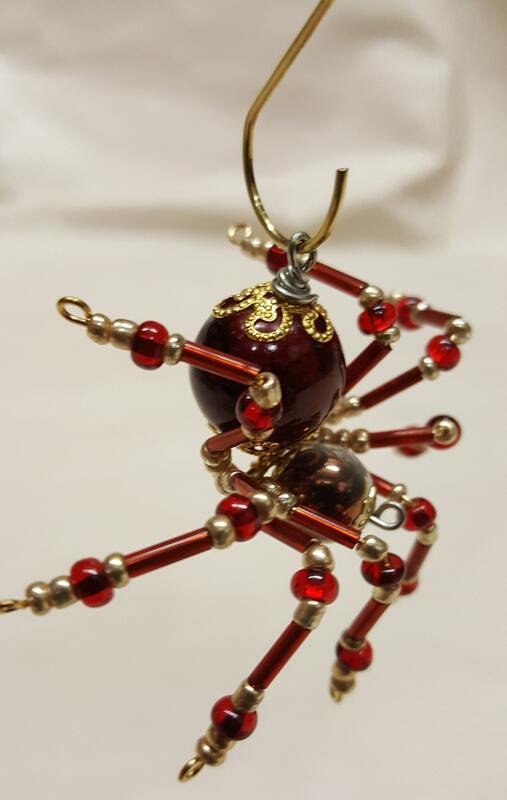 The legs are made form 21 ga. wire which are covered with small Swarovski Glass and plastic beads that can be carefully adjusted to almost any position. 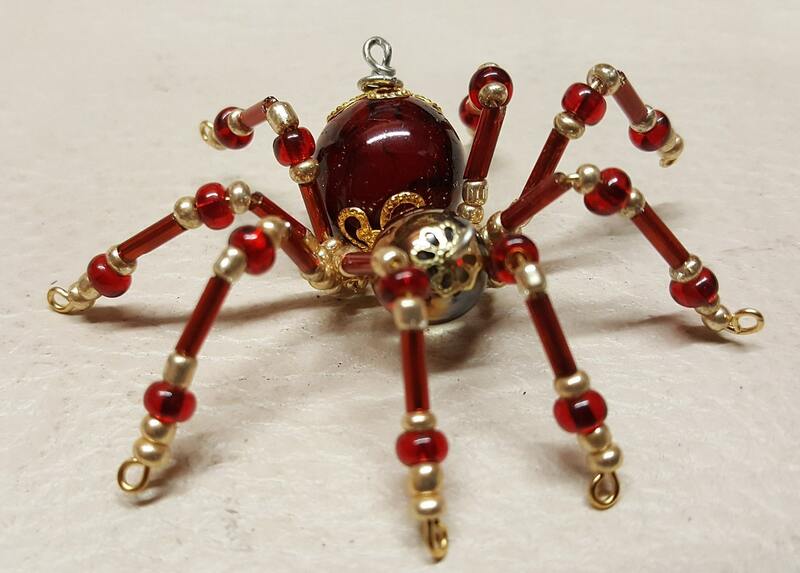 Gold bead caps are also incorporated into the body. 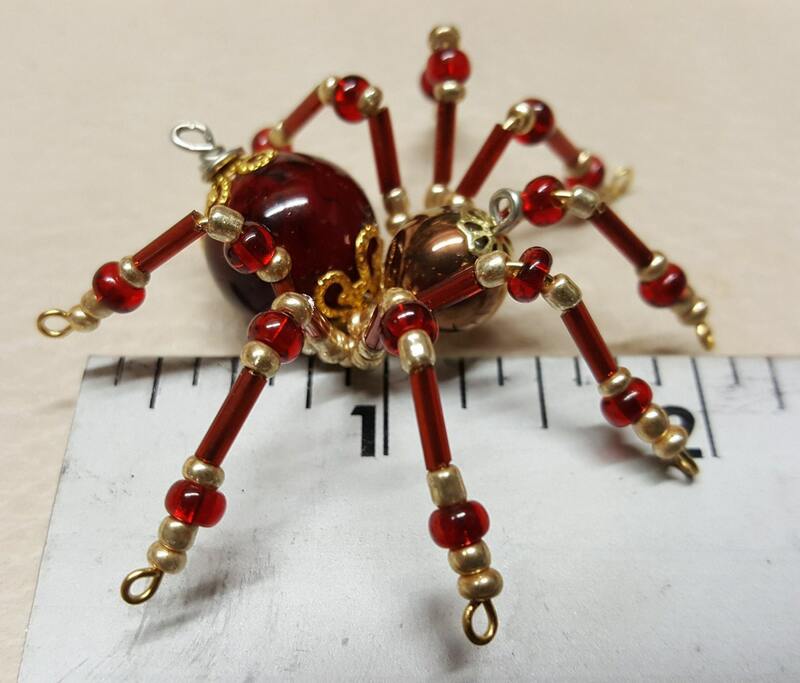 A gold decorative hook is attached to the back of the abdomen and can be used to hang the spider or be removed.